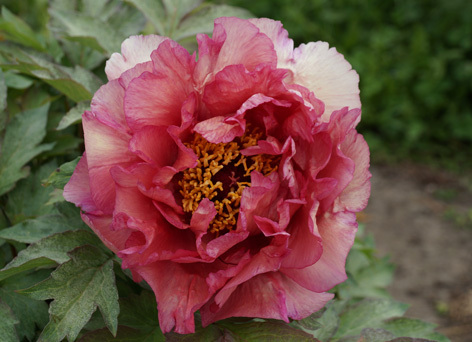 Light yellow base suffused with plum red veins. Height 1.2m @ 10 years. Flower size about 18 cm.